An Oktoberfest Wiesn for ALL occasions. A quart of greatness. Try one if you get the chance. There is nothing like tasting a beer made from brewers who really know how to craft a fine beer. The brewers at Paulaner have been brewing beer since 1634! You know that they have perfected their art. They adhere to the strict German brewing purity law of 1516 where they have to use the best ingredients of water, barley and hops. Even before opening this can, you know it will be a good beer. I popped the tab and poured this beer into my glass. The head was large, white and foamy and it didn’t last long. There was virtually no head lacing. No big deal. The carbonation was a nice medium rate and the clarity was clear with a nice yellow/gold color. So far, so good. Next, is the aroma of this fine brew. I get feint hints from the hops with notes of the malt from the wheat and a hint of grass. The aroma is subtle, not over-powering. Brining that glass to my mouth and my first sip is one of crispness. Nice and refreshing with a slight maltiness and on the finish, a slight bitterness at the back of you tongue. I also detect a sweetness that is hiding in the background that rounds out the tasting experience of this beer. This is an easy-drinking beer and because it was a quart, I was able to refill my glass three times. Which was the best part because I didn’t want the experience to end. 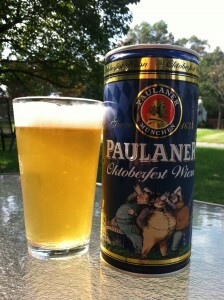 The Oktoberfest Wiesn from Paulaner is an enjoyable beer that you can enjoy with friends at your next Oktoberfest party or at any party for that matter. 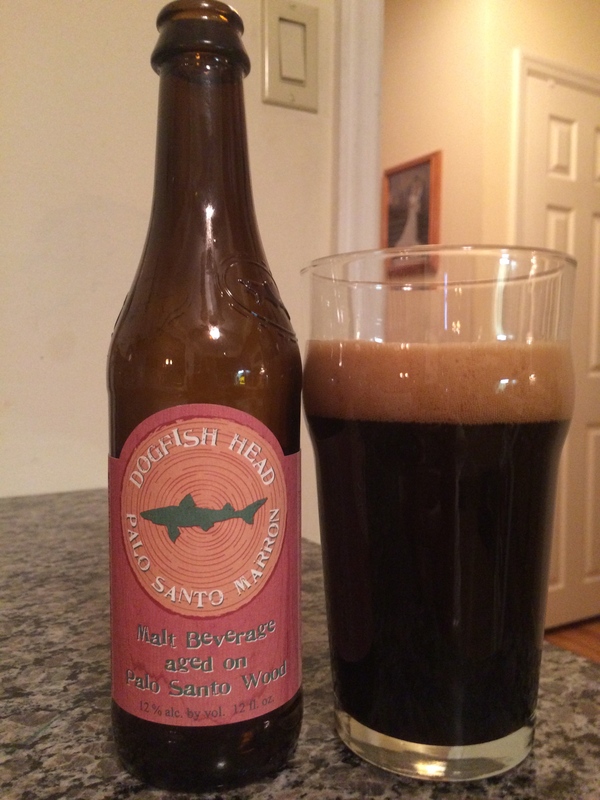 It is an easy-drinking, finely crafted beer that has been enjoyed for hundreds of years. Try this one next time you have the opportunity. You will not be disappointed.